First published in 1985, this reissue indicates the extent to which our basic perceptual structure is bound to and limited by a particular underlying perceptual patterning. 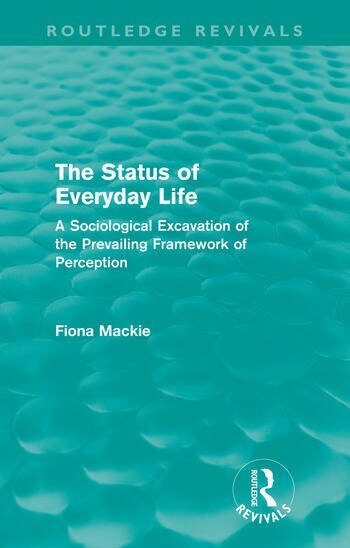 Fiona Mackie reaches deeper even than the Habermasian approach to rationality by tracing an underlying structuring of perception not addressed by psychoanalysis. She moves beyond phenomenology by reactivating what she terms 'memory glows', which encapsulates a primordial mode of experiencing, and shows how the form of language and thinking changes to express that reversal which she sees as crucial in our contemporary crisis.